Katie and Dr.Radha help James and Dan share helpful advice about coming out in a special collaboration with our Life Hacks Podcast and A Gay & A NonGay Podcast. 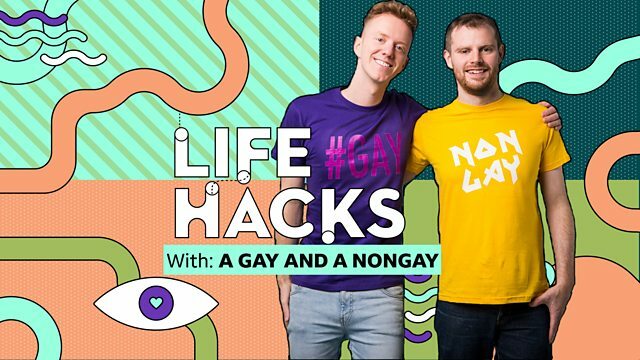 In this second episode in our exciting collaboration between Life Hacks and A Gay & A NonGay, Katie and Dr.Radha help James and Dan tackle some of the more complicated queries they have received from their listeners around coming out. The boys have called on our pros to help them address a range of listeners’ issues and share some helpful advice with them. This week, the guys focus on some of the difficulties young people face when they decide to ‘come out’ and what help and support family and friends can offer them to make this process less stressful. Over the next few weeks, all areas are covered in these special editions of our Life Hacks podcast.